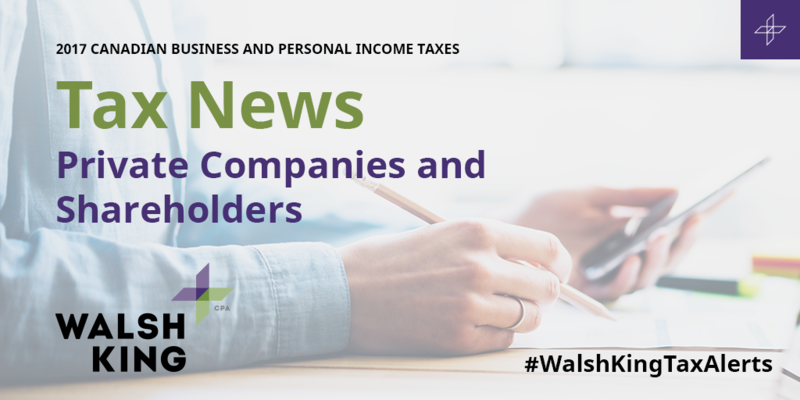 The federal government has announced major changes to the taxation of private corporations and their shareholders. Draft legislation has been published pertaining to significant restrictions on payments of salaries, dividends or other income to family members. These changes will particularly impact income splitting with adult children who are at university. Additional proposals suggest a dramatic increase in taxation of after tax business income which is not immediately reinvested into the business. Limitations are imposed on the availability of the capital gains exemption. The final insult is a change which could create double or triple tax on the death of a shareholder. We will be reviewing all of our client’s situations to develop appropriate strategies.